This entry by an unidentified contributor transcribing a work by the English poet Eliza Acton conforms, yet departs from the tone of most of the Cassey Album contributions. Friendship is the focus of the piece, however, it is darker than the other entries in that it ends with a vision of death. 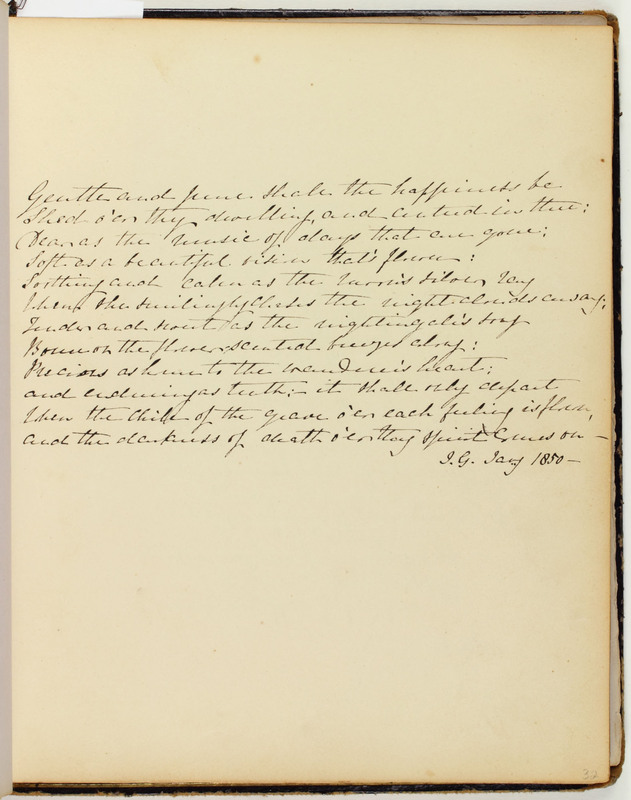 The poem suggests that the “happiness” and “music” of a day will depart once the “darkness of death o’er thy spirit comes on.” Most of the other entries about friendship describes memory as something that remains even when the person has departed from this world. This selection is the only one to suggest that a memory dies with the person with whom it is associated. 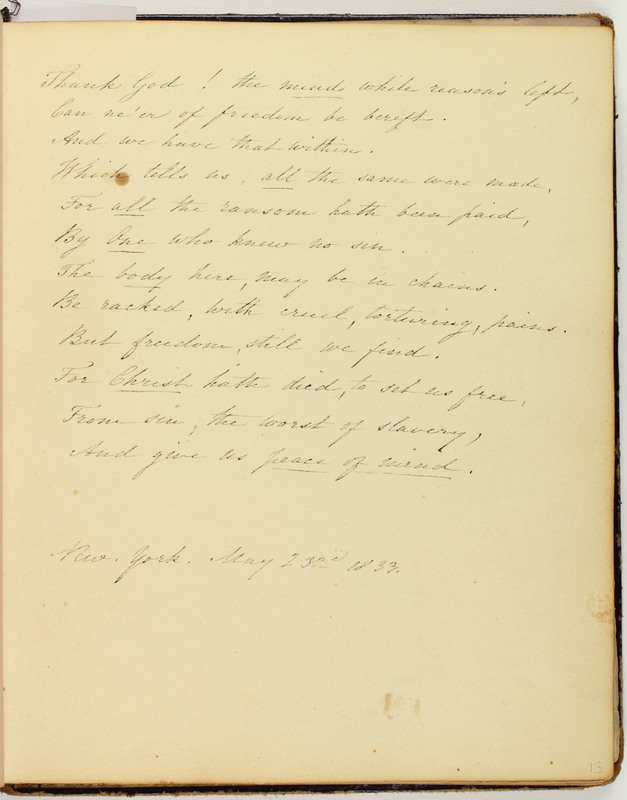 Page 32: Selected from Eliza Action, Poems by Eliza Acton (Ipswich, England: R. Deck, Longman and Co., 1826), 137. Scholar Mary Maillard suggests this contribution alludes to Amy Matilda Cassey’s upcoming marriage to Charles Lenox Remond in September 1850.